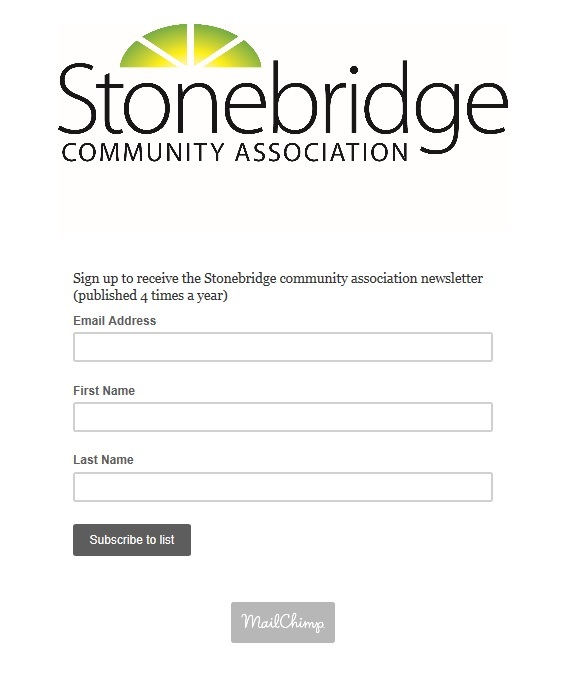 To promote, develop and organize recreational, educational and social programs for the residents of Stonebridge. To promote and assist in the general welfare, quality of life and environmental sustainability for the residents of Stonebridge. To raise funds for carrying out and furthering the association’s objectives. To promote community involvement in the association. To work in cooperation with the City of Saskatoon Community Services department, both Saskatoon Boards of Education, Dundee Development and in conjunction with other organizations with similar aims and objectives, to achieve the association’s objectives. To provide a vehicle through which the residents of the neighbourhood can take part in the planning and development of Stonebridge parks and neighbourhood.